"Children have the strangest adventures without being troubled by them." That's what author J.M. Barrie wrote in his landmark 1904 novel that introduced the world to Peter Pan, a mischievous boy who wouldn't grow up, his magical island of Neverland, and the children he absconded in the night to join him there so he might not be so lonely. And Barrie's right. Children have a remarkable resilience when it comes to the oddities life throws their way. But what happens when those children grow up to realize that those oddities were something a bit more serious and they've been left more troubled than they've ever let on? How do we react when they tell us? And what do we do about the Peter Pan who's accused of being culpable of their pain? 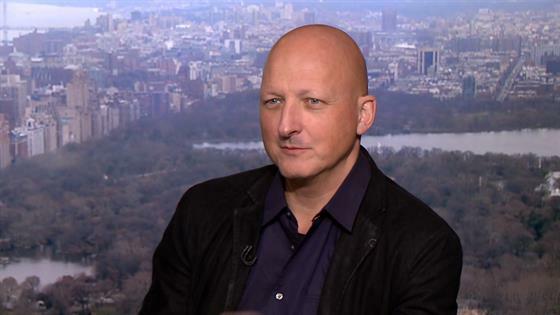 Those are the questions at the heart of the fight over Leaving Neverland, HBO's sobering new four-hour documentary film that aired in two-hour installments, beginning on Sunday, March 3 and concluding on Monday, March 4. In the film, director Dan Reed allows former children Wade Robson and James Safechuck, along with their families, the space to tell of their harrowing encounters with Michael Jackson, a Peter Pan of their very own and, in the process, challenge the rest of us to decide what to do with the grim possibility that a cultural icon might've also been a complete monster. Ever since the film was announced to debut at the Sundance Film Festival earlier this year, it's been, as you might expect from a documentary that levels, in great detail, allegations of sexual assault and abuse perpetrated upon children against one of the world's most beloved musicians, a bit of a powder keg. The Jackson estate has remained steadfast in their position on the claims brought forth by Robson and Safechuck, both of whom have brought lawsuits against the estate after Jackson's death in 2009—lawsuits that were dismissed and are currently under appeal—and the film itself. "This is yet another lurid production in an outrageous and pathetic attempt to exploit and cash in on Michael Jackson," the estate said in a statement to E! News when Leaving Neverland was announced. "Wade Robson and James Safechuck have both testified under oath that Michael never did anything inappropriate toward them. Safechuck and Robson, the latter a self-proclaimed 'master of deception', filed lawsuits against Michael's Estate, asking for millions of dollars. Both lawsuits were dismissed. This so called 'documentary' is just another rehash of dated and discredited allegations. It's baffling why any credible filmmaker would involve himself with this project." And it's true that both Robson and Safechuck's previous statements regarding their relationships with Jackson do work against the picture they paint today. In 1993, when Jackson was first accused of child sexual abuse by 13-year-old Jordan Chandler, both boys were asked to either deliver private testimony or witness statements to police, events they both now say they were coached for. Jackson was never indicted on Chandler's claims, though he did pay him and his family a $22 million settlement in a related civil case in 1994. And a full decade later, when Jackson was arrested and charged with seven counts of child molestation and two counts of administering an intoxicating agent, while Safechuck refused the singer's request that he again testify on his behalf (a refusal that he claims prompted Jackson to get "angry and [threaten] him"), Robson, then 23, took the stand in 2005 and swore under oath that he had never been molested by the King of Pop. "And I can tell you right now that if he had, I wouldn't be here right now," he asserted. Jackson was acquitted on all counts that June. The conclusion that these two men are now lying, working in concert with a filmmaker to shake down an estate for cash while slandering a man who's no longer here to defend himself, is an easy one to jump to. It's the sort of response cases like this against people with profiles like Jackson tend to receive from those who are unwilling to even consider that their hero might not be who they thought they were. Never mind the fact that it flies in the face of well-documented studies regarding why survivors of sexual assault don't come forward right away, why their stories may change, and why false reports of sexual assault are remarkably rare. When you listen to the twin stories of these two Lost Boys, told in tandem over the course of Reed's film, one can't help but be struck at their similarities—how Jackson not only allegedly groomed Robson and Safechuck, but their families, as well, how he manipulated their love for him to convince them that what was happening to them was above board (going so far as to supposedly having a mock marriage ceremony with Safechuck), how the absence of fear or pain during their time with him made it so difficult for either of them to eventually recognize that what had allegedly occurred was, in fact, wrong. The tales told are sobering and, at times, nauseating. It's no wonder that healthcare professionals were made available when the film screened at Sundance. By their own admission, the Jackson family hadn't seen Leaving Neverland prior to its debut on HBO. And at least one member, brother Jackie Jackson, told Gayle King during a sit-down on CBS This Morning that he didn't need to. "Well, I don't care no 'cause I know my brother," he said. "I don't have to see the documentary. I know Michael. I'm the oldest brother. I know my brother. I know what he stood for, what he was all about, bringing the world together, making kids happy." As nephew Taj Jackson told E! News' Melanie Bromley, he felt as though the film was being kept from the family to prevent them from fighting back. "I've read the transcripts backwards and forwards, but I don't think they want me to see it because they know the sooner I see it, the more I can poke holes into it," he said. "Because I know Wade and I know my uncle." And yet, despite never having seen a moment of footage, they tried to stop Leaving Neverland from ever seeing the light of day. They issued a 10-page rebuttal, they filed a $100 million lawsuit against HBO and parent company Time Warner for allegedly breaching a non-disparagement clause in a contract from 1999, and when that didn't work, they made a Jackson concert film available on his YouTube page just as part one was airing on the premium cable channel on Sunday night. 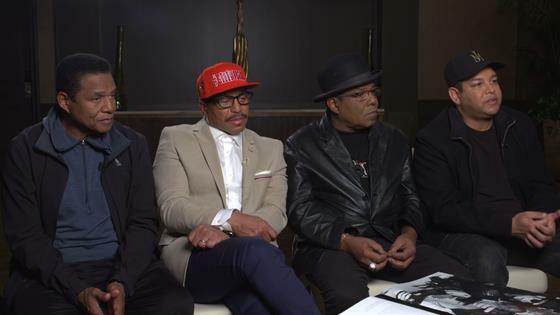 "I think it's true to say that the Jackson family and the estate don't know what they're talking about because they haven't watched the film," Reed told E! News about the reaction to his film. "How can you write a 10-page rebuttal of something you've never watched? It's ridiculous." As for the claim that no one from the Jackson family was contacted to defend the late singer, thereby rendering Leaving Neverland a one-sided affair, Reed had a defense for that. As he sees it, the last 25 years have been dominated by Jackson's defense, his vehement denial of the claims lobbed against him, and while no one is in the film to present that defense anew, it's inextricably linked to this story. "What was important for me was to have eyewitnesses or people who could add something to the story. I don't know that the Jackson family has any direct knowledge of what happened to Wade and James. I don't believe they do. If they do, then they should come forward," he told King in a CBS interview of his own. 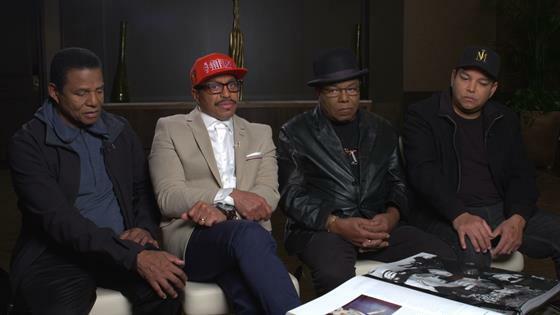 "We know that the family and the estate[s] and Jackson during his lifetime and his lawyers all deny that any sexual abuse took place and those views are strongly represented in the film. We give those views a lot of time in the film on screen and we have people casting doubt on Wade's change of heart." Speaking about that change of heart, Robson—who has claimed that Jackson's "training of me to testify began the first night that he started abusing me," with the singer allegedly telling the young boy that if anybody ever found out, "we'll both go to jail"—told King during a separate interview that he thinks about that moment he took the stand in 2005 and, by his own admission, lied to protect Jackson all the time. "I wish that I could've helped Gavin Arvizo receive some justice and some validation for what happened to him, that was just like what happened to me and just like what happened to James," Robson said. "And I wish that I could've played a role in, at that point, stopping Michael from abusing however many other kids he did after that." While the Jackson estate would argue that Leaving Neverland is purely a cash grab, a craven ploy for fame and fortune, Robson and Safechuck assert that's not the case. Neither received compensation for their appearance in the film, nor do they have an financial stake in its performance. "We can't change what happened to us. It happened, it's done. But what can we do with it now? How can we provide comfort for other survivors? That's what this is about," Robson told King. "Michael just happens to be the guy, the abuser in this child sexual abuse story." Safechuck added, "It's an old argument that they've used. They say it's just about the money. For me, the lawsuit was about fighting back for little James. You know, nobody fought for me as a kid. But I'm old enough now to fight for myself." And that's a sentiment Reed echoes. "It's never been my intention to topple Michael Jackson from his pedestal of the King of Pop. It's never been my intention to detract from the glory of his work," he told E! News. "All I'm doing is telling the story of two very vulnerable little boys who were hurt, terribly hurt, by Michael Jackson and two decades later broke their silence to come out with the truth, and I think their story deserves to be heard." And, ultimately, for us, the general public, to determine what to do with. How do we listen to Jackson's legendary oeuvre in even remotely the same way? As our cultural heroes continue to fall by the wayside in this ongoing time of great reckoning, what do we do with Jackson now? Like R. Kelly before him, there will certainly be those who are unwilling to let their devotion to Jackson waver, of this both the family and Reed agree. When asked by King if they were worried at all about his legacy, Jackie defiantly admitted, "No, not at all." Speaking with us, Reed said, "There are fans, and then there are the cultists. There are people who see him as a demigod and have incorporated that somehow into their identity and are terribly offended when you say anything that challenges that. I don't see how they can change. They can't change because their devotion is kind of religious, I suppose. It's faith, not based on anything else. And they believe that because he was such a great musician, that he must be a wonderful man." But for the rest of us, perhaps this is the moment where the bough breaks. "The ordinary Michael Jackson fans who just love his music, and have played his music at their weddings or whatever—the soundtrack to the happy times in your life—I think they're going to be, of course they're going to be saddened and shocked by this film," Reed added. "And of course they're probably going to feel differently about the music. Too often, when we speak of moments like this—moments where victims come forward to speak their truth in the face of a cultural icon whose mighty reputation towers over them—we frame the situation in terms of a battle in which their can even somehow be a winner. But when you really look at it, who is winning here? Not the alleged victims who are laying bare the darkest moments of their lives, leaving them open to public scrutiny, ridicule, and hatred. Not the family of the accused, who are tasked with defending a loved one whose questionable behavior during life opened him up to the possibility of, in their eyes, such false allegations. And not the fans, who must now reckon with their own loss of innocence regarding a man who once meant so much to them. It's a losing game, all around. A necessary one, no doubt, but a losing one just the same. "As innocence fades away, more complicated things take its place," Jackson wrote in his 1992 book Dancing the Dream. "When you get right down to it, survival means seeing things the way they really are and responding. It means being open." Leaving Neverland concludes with part two on Monday, March 4 at 8 p.m. on HBO, followed immediately by Oprah Winfrey Presents: After Neverland, a conversation between Oprah Winfrey, Robson, Safechuck, and Reed, at 10 p.m. on both HBO and OWN. Be sure to tune in tonight at 7 p.m. to catch E! News Investigates: Michael Jackson only on E!